Airlines of Tasmania: Airlines of Tasmania, also known by the name Par-Avion in some markets, is a regional airline based in Hobart, Tasmania, Australia. It operates a single scheduled service serving Launceston in Tasmania and Cape Barren Island. Airlines of South Australia: Airlines of South Australia refers to A subsidiary of Ansett Airlines that operated from 1959 until 1986, and An independent airline that operated between 1987 and 2005. Airlines for America: Airlines for America , formerly known as Air Transport Association of America (ATA), is an American trade association and lobbying group based in Washington, D.C. that represents the largest airlines. A4A member airlines and their affiliates transport more than 90 percent of U.S. airline passenger and cargo traffic. 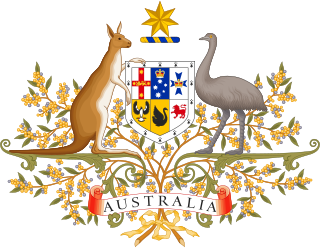 Airlines of New South Wales Pty Ltd v New South Wales (No 2): Airlines of New South Wales Pty Ltd v New South Wales , was a High Court of Australia case about the validity of Commonwealth regulations about intrastate air navigation. Although the Commonwealth has the power to regulate interstate air navigation under s 51(i) of the Constitution, it can only regulate intrastate air navigation under the implied incidental power attached to that head of power. Airlines PNG Flight 4684: Airlines PNG Flight 4684 was a scheduled domestic passenger flight, operated by Papua New Guinean airliner Airlines PNG, flying from Jacksons International Airport in Papua New Guinea's capital Port Moresby to Kokoda Airport in Oro Province, Papua New Guinea. On 11 August 2009, the aircraft operating the flight, a de Havilland Canada Twin Otter, crashed and exploded into a forest in Kokoda Valley, a popular trekking site in Papua New Guinea while carrying 13 people in bad weather.